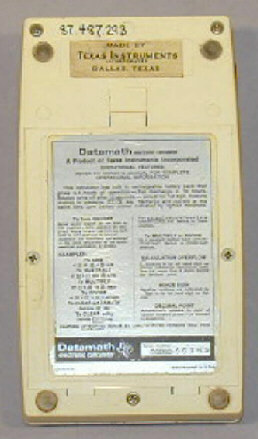 The famous TI-2500 Datamath calculator was first announced in April 1972 with a suggested retail price (SRP) of $149.95. The first batch of the injected molded housings was produced in a white color similar to the original design presented by the industrial designer Fred M. Gore of Fred Gore & Associates, Inc. a few weeks earlier. 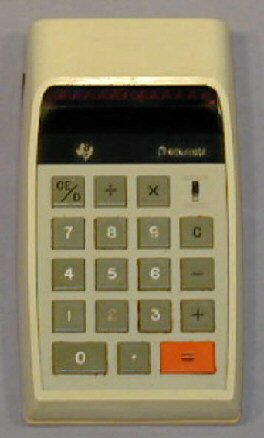 Beginning June 1972 first customers in selected areas (Dallas and Houston, Texas) received their calculators - still in the white colored housing - before the formally introduction on September 21, 1972. Don't miss the rare TI-2500 Datamath First-Series and an even earlier TI-2500 Datamath Pre-Series.